With several players offering education technologies, what is different about Konica Minolta? VB: As far as the offerings in the education space is concerned, we are today the only one who offer a basket of solutions – from processes to document management. These include the ERP software to the institutions, MFPs and document solutions as well as OMR for conducting the examinations. And all these are integrated into the ERP. Konica Minolta is unique because it is the only brand which caters to more than just an ERP solution. However, this basket of solutions will increase as we go on in this year. In ERP, if a school has to accept the online payment, we offer the facility to accept online payments. For this, they only need a payment gateway, which is automatically integrated into ERP. How your education ERP solution is beneficial for learners as well as educators? VB: There are multiple stakeholders in the institutions: owners/administrators of the school, teachers, students and the parents. If a person who runs the school would like to know, how the results are being deployed, how many students are enrolled, whether the fees has been paid on time, transport buses are running on time or not, we have very configurable ERP process. As it is a cloud-based solution, it is easily configurable for each school according to the way they have designed their fee or transport structure. We can also offer the customizable solution if an institution wants to do onsite implementation. Even we can customise a few processes as per the requirements. Typically, a cloud-based solution is already well-structured, based on the best practices available as of that day. There is no need to invest on the infrastructure. We help you to do the setup and once the setup is done, you just start using it. On part of teachers, they can use the platform to deploy the content or material for the students. Teacher can also communicate to the students and their parents, if they want. Through ERP, students can know about the time table, marksheets, progress report, etc. It also has the ability to have online exam system, which helps in getting the results quickly. 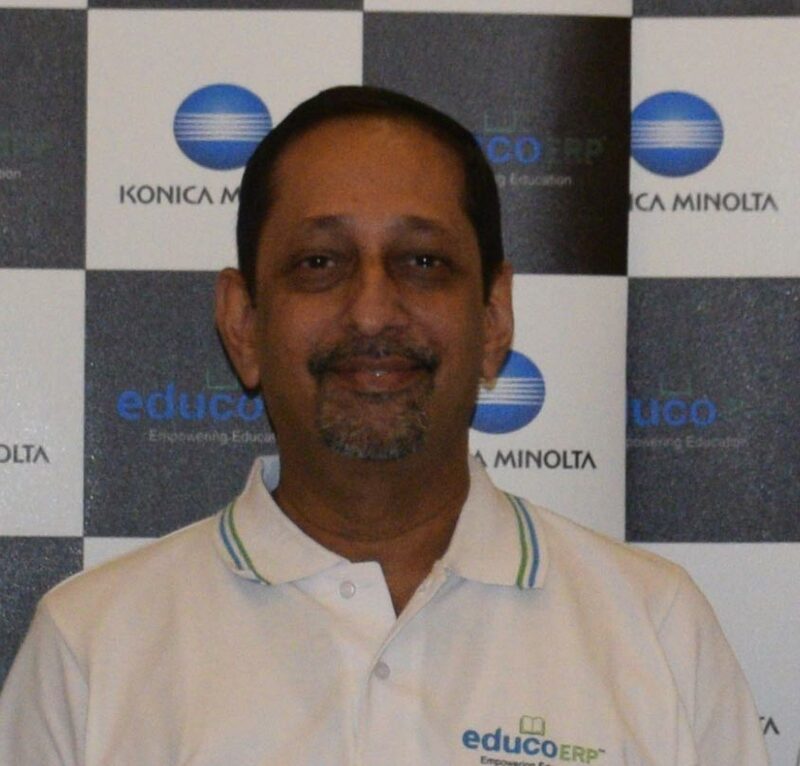 In the Educo ERP, every stakeholder has something or the other. Most importantly, they can access it across platforms such as tablets, phones, laptops, mobiles, etc. What is the target market segment for your ERP solutions? YN: Our target is pan India. We are making strategies to penetrate the market. Firstly, our priority is metro cities and surrounding areas. After that, we will expand to the larger geography of India, that is, Tier II & III cities of India. VB: In Tier II & III cities, the challenge is that the schools don’t have the ability to invest in infrastructure. However, more than investment in infrastructure, the main thing is the maintenance of that infrastructure. Therefore, cloud-based solutions are ideally suited for Tier II & III cities. All they need is a good internet connectivity. Please share the primary features of Educo ERP. Usability and user experience: The structure is simple, therefore very easy to use. Cloud-based solution: No infrastructure investment is required. Captured almost all the functionalities of a school: From student life cycle management to asset management and human resource management. Expandable: Whether the number of students are less or more, it expands automatically. 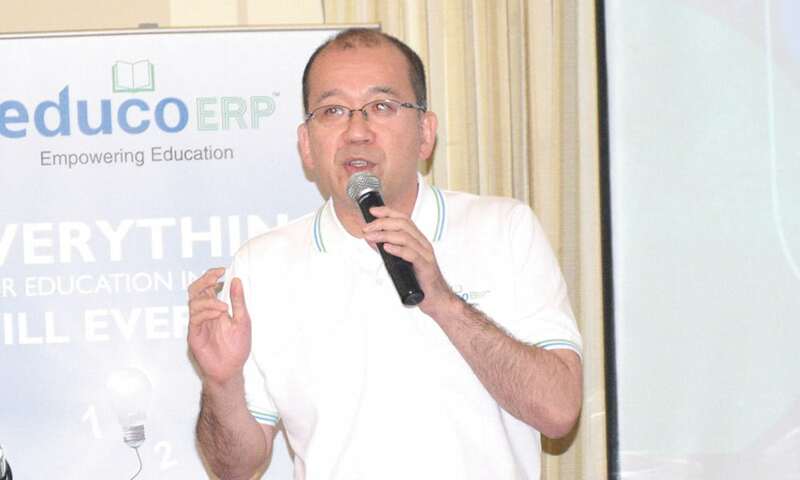 What would be the estimated cost of implementing the Educo ERP? VB: The cost starts from Rs 100,000 and above, to almost Rs 200,000, depending on the functionalities and elements you buy. Konica Minolta is basically into development, manufacturing and sale of multi-functional peripherals. How is the journey from hardware and technology to software? YN: Our core business of hardware and technological solutions remains unchanged. We want to mix the solutions and hardware in order to help the customers’ programming issues. Therefore, we have transformed ourselves into a customer- centric company. And this Educo ERP is the answer to the transformation. We studied the education market and then bring out this product. In future, our Educo ERP will be integrated into our hardware printing machines. How your peripherals are empowering the education sector? YN: We have an optimised printer service for schools. We have technology and know-how to minimise and optimise the printing cost. We support our customers in schools to manage the printing cost and also the security of confidential information. Do you have products that are specifically designed for education sector? YN: As such we don’t have specifically designed products for education sector but we have printing machines for all verticals. However, we can provide tailor-made solutions to educational institutions. VB: For optimised printing solutions, we have a separate package that is tailor-made for the education sector. 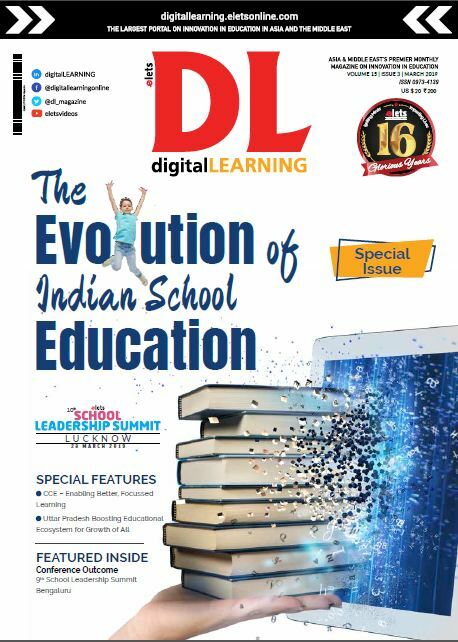 We have a special software solution that is created for education sector only. What is the unique philosophy of “The Creation of New Value” all about? YN: We have transformed ourselves to a customer-centric company. We have produced value by ourselves to cater to the customers by knowing their requirements. Through innovation and technology, which only Konica Minolta can provide, we create value and share it with society for the betterment of people’s lives today and for the generations to come. According to you, can technology in education space diminish the experience of classroom teaching in the coming years? VB: The education is here from a long time. The more technology develop, more the adaption of technology happen to deliver content delivery and also the consumption of the content. Whether it will totally remove classroom teaching, is still a question. I don’t think that the human contact can be avoided in teaching and learning process such as team learning, social participation, etc. Classrooms will remain in some form or the other. Technology is only a supportive tool for teachers and can enable learning. It can enhance the ability to deliver content for learning. I don’t think technology will ever replace the human touch in teaching.